St. John's is an intentionally balanced environment – both challenging and joyful – where children develop a love of trying and a love of learning for life. Choosing the right school for your child, as well as a welcoming community for your family, is not easy. 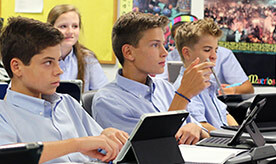 We work hard and care deeply that St. John’s feels right to the families who share our philosophy and culture – one that balances academic preparation with a love of learning. If you didn't have a chance to watch our video on the homepage, you may view at this time. 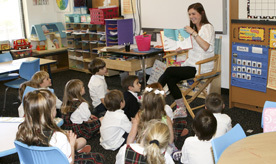 Take a glimpse into what St. John's is all about - teaching kids the joy of learning.